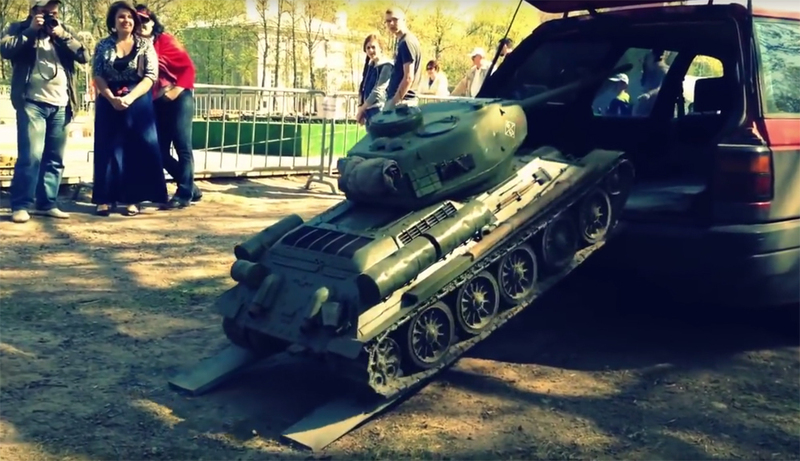 Russian tank specialists have created a compact version of the legendary T-34 tank from World War II. It used to be that such models could only be seen during the May 9 Victory Day Parade on Red Square or in a museum. Now the tank can be placed in the trunk of your car and showed off to your friends. It fully imitates the engine sound of the actual combat vehicle.